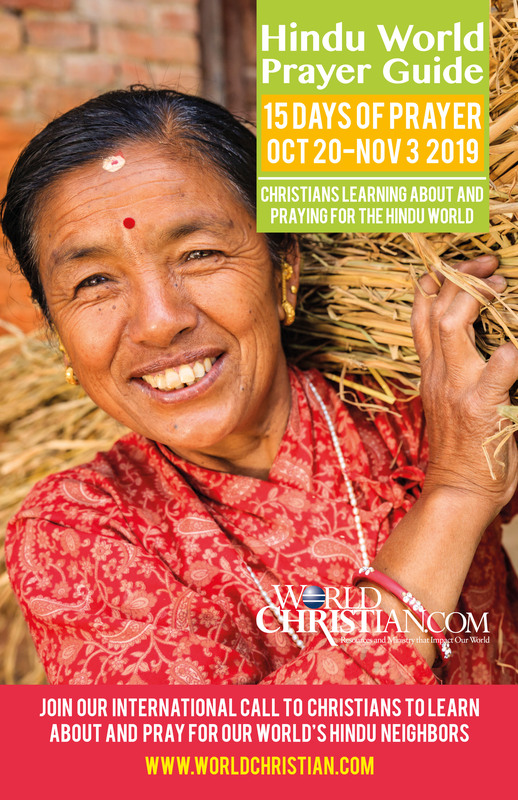 Our 3rd annual Hindu World Prayer Focus calls Christians to spend 15 days learning about and praying for our world’s 1+ billion Hindu neighbors. These 15 days also coincide with the important Hindu Festival of Light. The informative 32-page prayer guide booklets will help you know how to pray for the people within this major and very diverse world religion. The 2018 edition booklets are still available at a sharply reduced price, click here. Last year, over 50 thousand people committed to pray for the Hindu people. 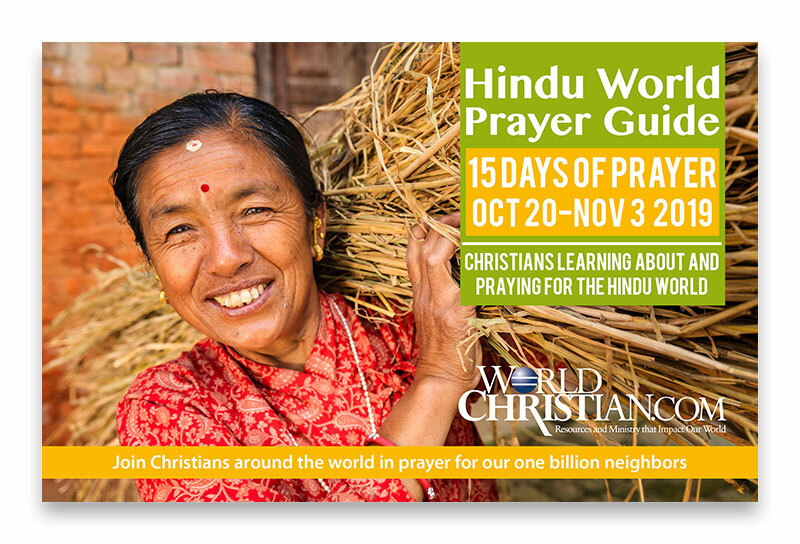 With the 15 Day Hindu Prayer Guide, you will not only learn how to pray but will learn more about people groups that follow Hindu traditions. Will you partner with Christ and join us this year? As Christians, we embrace the truth that we have been blessed so we can be a blessing to the nations (Gal 3:8). As Christians, we yearn that all the world’s people(s) will have a tangible opportunity to comprehend the grace of God incarnated in Jesus Christ. For this reason, we inform ourselves, so that we may understand, and learn how to pray for and support respectful efforts to make that grace also known within our world’s Indian and Hindu communities. religion in any way, and we recognize that India and Hinduism are far too complex and so full of great traditions to easily condense, explain, or take lightly within a mere booklet. Hindus are the second largest least-reached religious group in the world, and only about two percent of cross-cultural missionaries seek to share the gospel with them. The majority of Hindus still live without any meaningful access to the gospel of Jesus Christ. This high-resolution, full-color poster is used by many ministries and churches to help spread the word about the 15 Days Hindu Prayer Focus. Feel free to print and distribute it. In North America, 15 Days of Prayer is owned and coordinated by WorldChristian.com.